Seems the Samsung Note 7 is a HOT phone. No I mean like really hot, catching on fire hot. 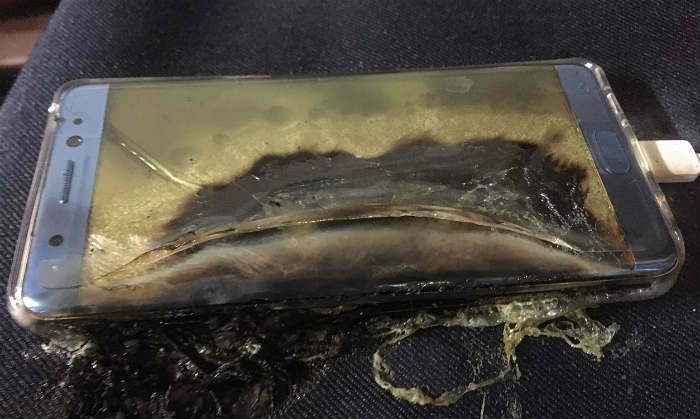 It seems of the 2.5 million Note 7 phones that have been sold there have been (something like) 35 reports of phones catching fire or smoking worldwide. That doesn’t seem like a lot but if you are one of the people who had a burning or smoking phone, 1 is to many. So the Samsung Note 7 is in recall world wide, with Samsung looking into what is causing the issue. The suspicion is that phone battery while charing just gets to hot, and if you leave your phone connected after its fully charged, the battery just gets too hot and BOOM (no pun intended). Turn off your phone if you want to fast charge or charging in general. Do NOT leave your phone plugged in while you run your errands, go to bed, or do anything else where you aren’t paying attention to your phone. Once your phone reaches 100% charge, remove it from the charger. I know I’m guilty of leaving phone on charger after it was 100% charged. Don’t use the phone or play games while it’s plugged in. Place it in a cool (not hot) place during charge. Just pay attention where it is when you plug it in. I’ve many people charge their devices on window ledges while the HOT sun is baking the unit. The issue here is over heating, you don’t need to help the phone along by putting in a hot place. Take off those third-party cases. Some cases just don’t let the phone “breath” as it was designed. So remove any covers, or cases while charging. Use the original charger and cable. Just because your significant other or your kids charger for their S6 or Nexus phone is right there doesn’t mean you should use it. Each charger is designed for a specific device, so you should use what came with your device. I know your thinking, I just paid thru the nose for this thing, why do I have to now hop thru so many hoops. You are right in thinking that why, but until Samsung officially explains something more than they have so far and you can get your device replaced, it is better to be safe than sorry. As a gesture of appreciation, consumers will receive a $25 gift card or bill credit from select carrier retail outlets when choosing a Galaxy S7 family device or the Galaxy Note 7 within the exchange program. Sprint is working closely with Samsung to ensure those customers who already have purchased the device are taken care of. For those customers that previously purchased the Samsung Note7 we will offer them a similar device until the issue is resolved. Samsung announced a voluntary recall of the Galaxy Note7 in response to an issue with the device’s battery. Because customer safety is our top priority, Verizon has stopped selling the Galaxy Note7. Additionally, through September 30, 2016, we are waiving the restocking fee for any customers who purchased a Galaxy Note7 and wish to return or exchange it. As our customer, your safety is our number one priority. Due to the recall we recommend that you take advantage of our exchange program. We’re making it easy for you to exchange your Galaxy Note7 for free. Because safety is our top priority, customers are strongly encouraged to exchange the Galaxy Note7 for a new device. Customers with a Note7 may select a Galaxy S7, Galaxy S7 edge, Galaxy S7 active, a new Galaxy Note7 or any other smartphone, and may also return any Note7 accessories. If a customer chooses another Samsung device, he or she will receive a bill credit of $25 per device. 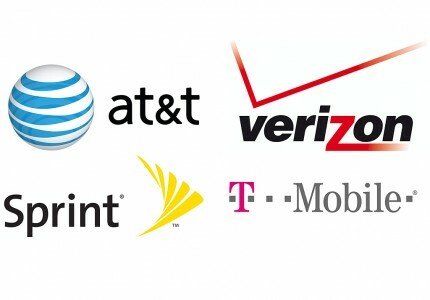 So at this point, the best thing you can do is either take extra precautions until Samsung can make and send out replacement units to all the carriers worldwide (which should take a few weeks) if you wish to keep your Note 7, or you can as all the carriers have listed choose another model to move to. Reach out to your individual carrier to get specifics on the procedure they are using.